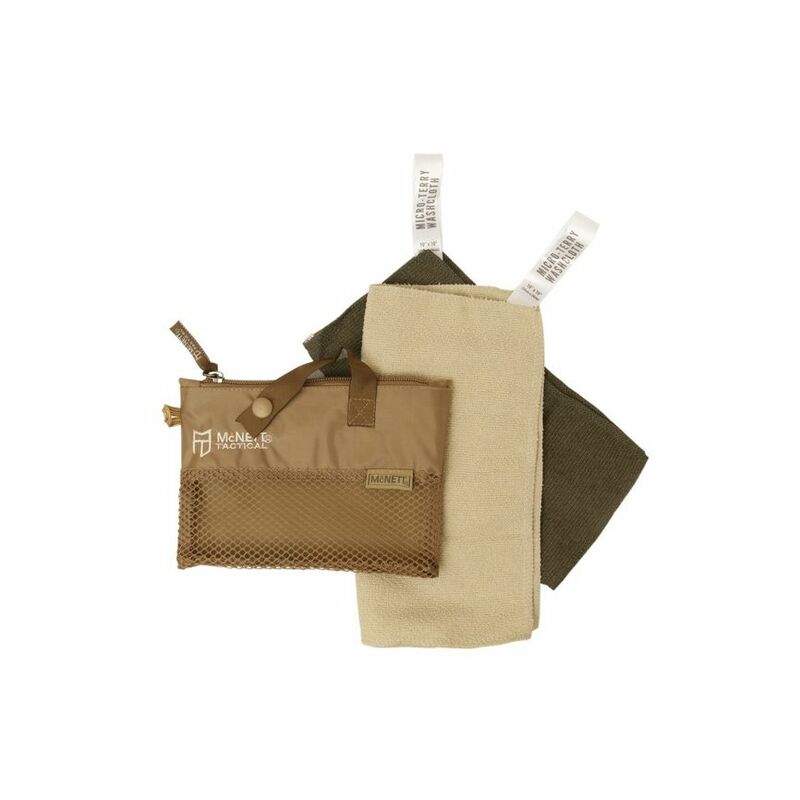 A high-quality toiletry kit is essential for good personal hygiene when traveling or out in the field. When you need a compact and lightweight solution, reach for the Micro-Terry Washcloth Kit by McNett Tactical. Ideal for travel and deployments, this compact Dopp kit easily fits into packs and rucks without taking up much space. Featuring a hanging toiletry bag and two absorbent washcloths in OD Green and Sand, the Micro-Terry Washcloth Kit makes it easy to stay clean and refreshed in any situation. Ease the suffering of those around you by maintaining your personal hygiene with the Micro-Terry Washcloth Kit by McNett Tactical.